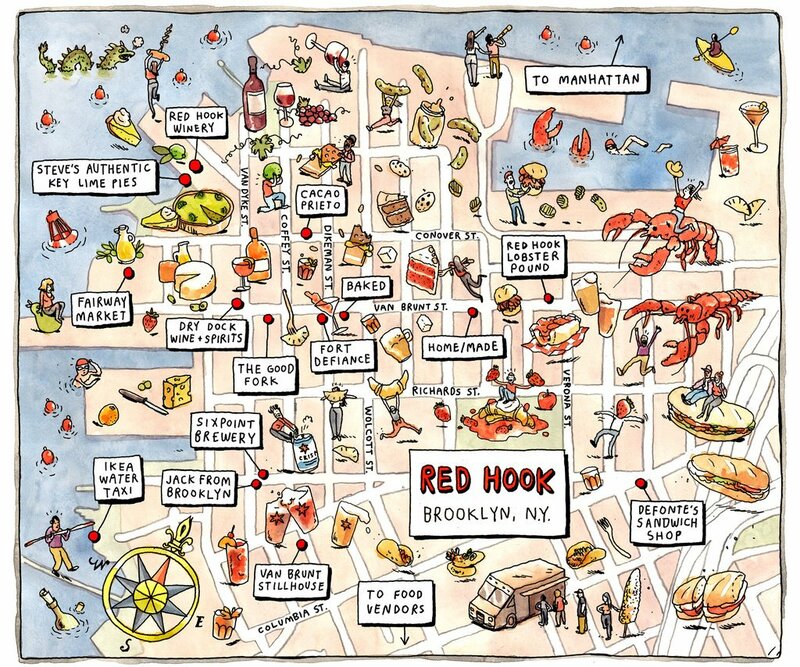 If Brooklyn had a baby with Cape Cod, their child would be Red Hook. With its cobbled streets, lively seafood joints, and waterfront views, it feels miles away from the daily stresses of life in the city. 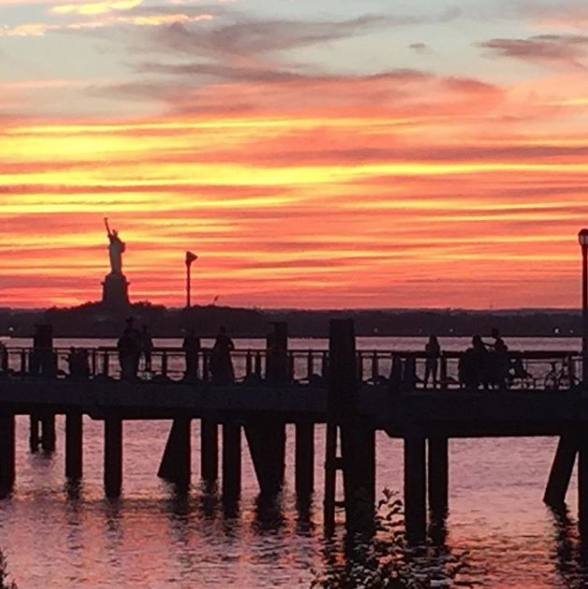 An NYC Ferry ticket costs less than a bodega sandwich so why not spend an afternoon exploring all this quiet seaside neighborhood has to offer?! Do as the French do and start your morning with an espresso and a tasty pastry from The Black Flamingo.Tucked behind this cozy cafe, you’ll find a charming patio where you can sit and enjoy your morning treats en plein air. After your morning pick me up, make your way over to the Waterfront Museum to learn about NYC’s rich maritime history. This floating museum is housed in an historic covered barge moored to pier 44. 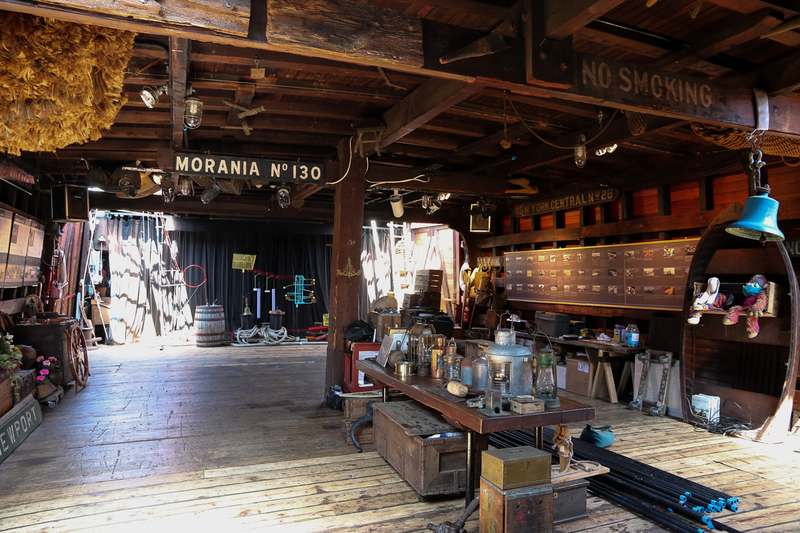 Check out the salty relics of a bygone era as the museum gently sways back and forth. 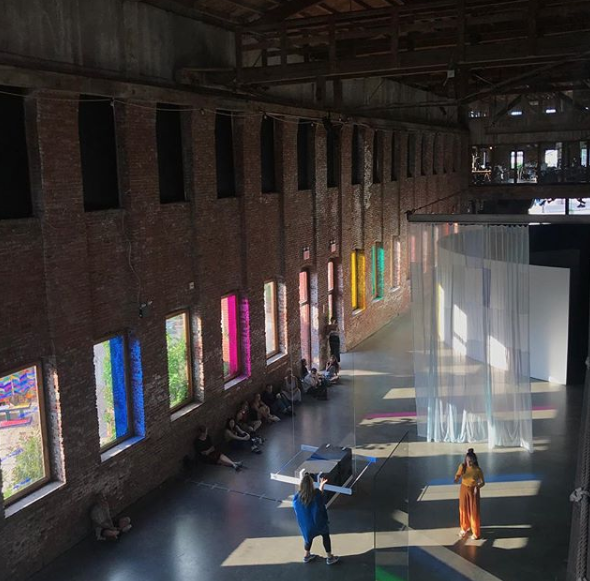 For a more contemporary vibe walk over to Pioneer Works, a spacious cultural haven with an eclectic rotation of exhibitions, performances, and educational programs. Admission is always free and they are open to the public Wednesday through Sunday, 12pm-7pm. Before making your way out to the Pier to admire the stunning views of Lady Liberty, make sure to pick up a bakery-fresh key lime pie from Steve’s Authentic Key Lime Pies. It’s the perfect treat to savor as you look out at the glistening harbor. 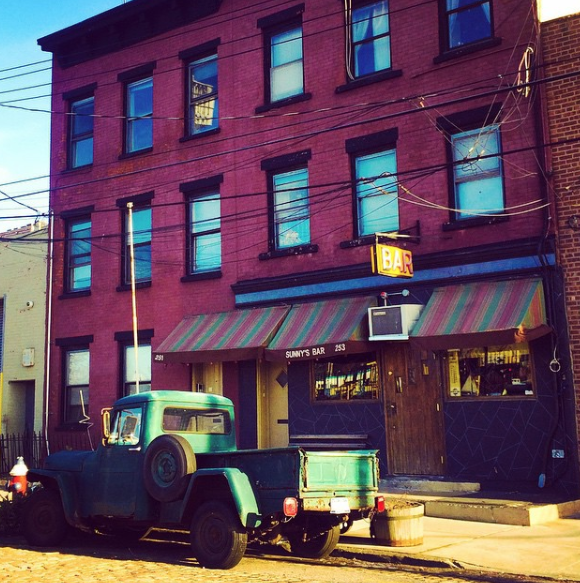 Some might argue that a trip to red-hook wouldn’t be complete without a little seafood. Crowds have long flocked to Brooklyn Crab to gorge on crab rolls, oysters, and baskets of fried shrimp. 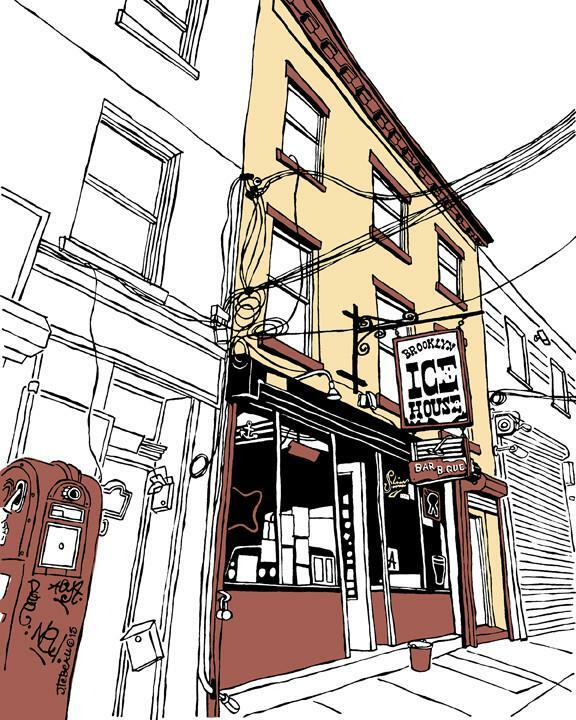 While it can get a little crowded on the weekends, the general vibe is akin to most coastal seafood shacks. Painted buoys, orange life vests, and other nautical kitsch add to the island vibes. Who doesn’t want spend a sunny afternoon sipping on a pina-colada with a swedish fish garnish? 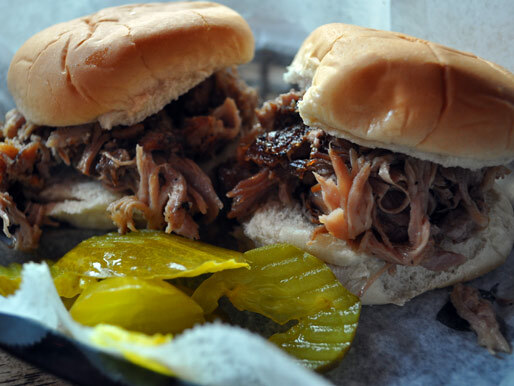 If seafood doesn’t float your boat, head over to Brooklyn Ice House for some mouth-watering pulled pork sliders and a cold beer. The food and drinks won’t break the bank (two sliders for $5) and there is a spacious outdoor patio that’s perfect for an afternoon drink or two. 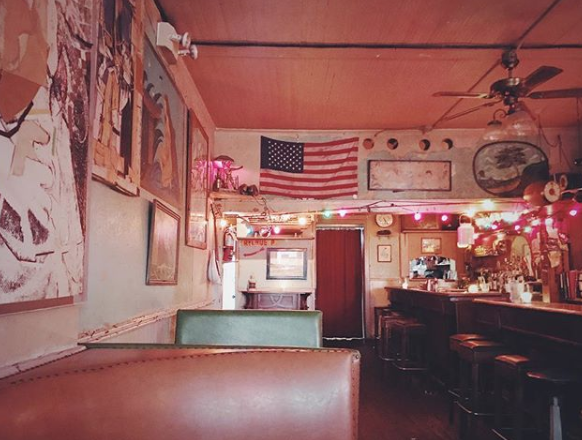 Stepping into Sunny’s is like walking into a fisherman’s dream. The walls are adorned with all sorts of nautical wonders and memories of days past. Musicians have long flocked to this bar to pick their guitars. 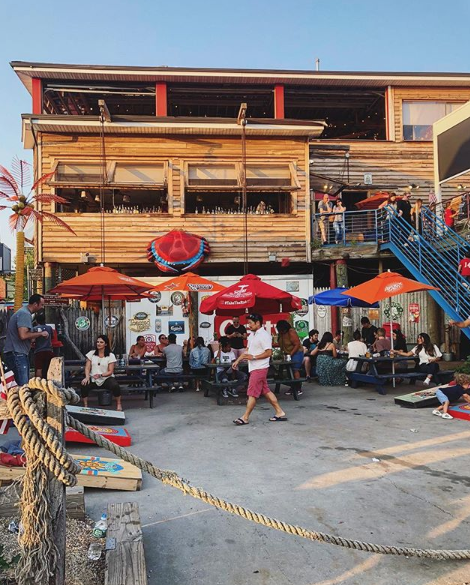 You can expect to see local talent and if you’re lucky you might just catch a legend swimming through this long standing waterfront saloon. 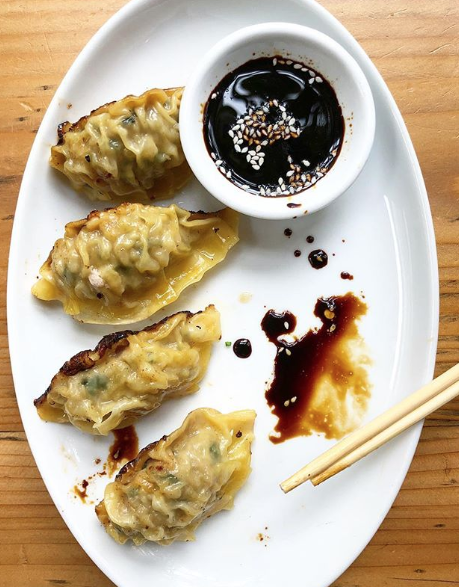 After a long day of exploring the neighborhood, it’s time to enjoy some truly delicious Korean inspired fare from one of the most talked about restaurants on Van Brunt Street. 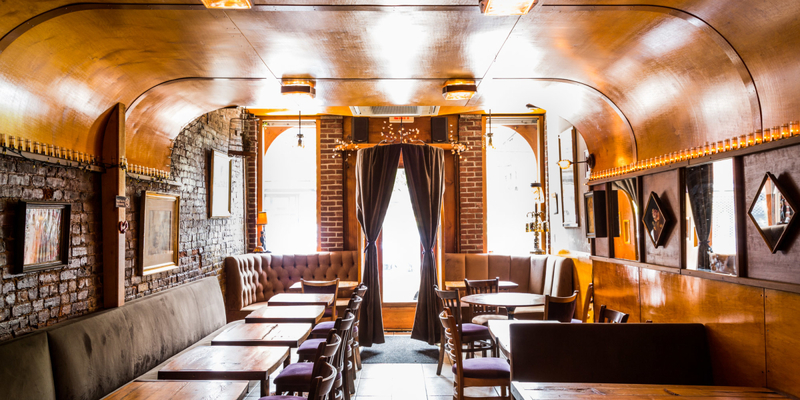 The beautiful rounded ceiling, exposed brick walls, and charming patio, lend this restaurant a warm and intimate atmosphere. Personal favorites from the menu include the homemade dumplings and Steak and Eggs Korean Style. Yumm!